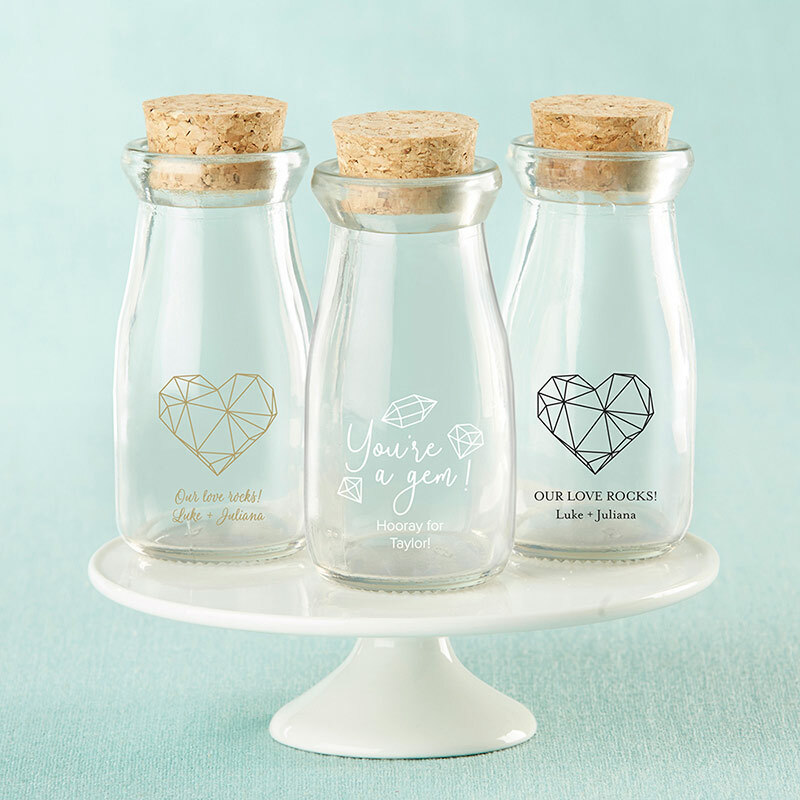 Kate Aspen's Personalized Printed Vintage Milk Bottle Favor Jar is the perfect thank you gift for guests that attend your wedding. Choose from two Elements themed designs - You're a Gem and Geometric Heart. When they're filled with candies, treats or small trinkets of your choice, your guests will really appreciate the gift long after your event is over. Old-fashioned mini milk jar favor container with real cork top and large, easy-access opening. Printed Elements design above 2 lines of custom text.